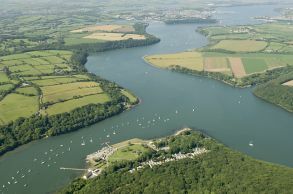 Our marina is located on the sheltered and peaceful upper reaches of the Cleddau estuary known as the Daugleddau. This is the perfect base from which to explore miles of picturesque waterway. The secluded branches on this part of the waterway offer stunning scenery away from the hustle and bustle of the larger ports further downstream. 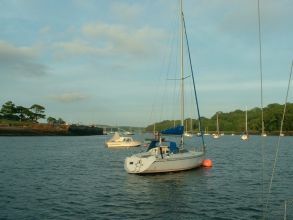 Situated 12 miles from the sea, Lawrenny Quay is a tranquil spot for leisurely sailing, kayaking, wind-surfing, cruising and fishing, or head further down towards Milford Haven for water-skiing and deep-sea fishing. Tie-up at the Lawrenny Arms pontoon for great food, ale and evening entertainment. Lawrenny Marine offers a complete range of marine services including swinging moorings, two pontoons (one exclusive to mooring holders), a private slipway, annual storage, waterside fuel, chandlery, boat maintenance and repair.